After weeks of planning, sorting out travel arrangements via email, checking out the weather, it was finally 9th November 2012, the start of me and my wife’s year-end holiday for 2012. We came to an agreement that we wanted to go somewhere a bit further from South East Asia that offers something beyond the normal tourist attractions and after multiple rounds of on-line research, Sri Lanka appeared top on our list. After a very unique 3 hours 50 minutes flight from KL to Colombo, we safely landed at Bandaranaike International Airport in Colombo, Sri Lanka. If you missed out the earlier story about the awesome in-flight birthday surprise, please click here to view the full list of my Sri Lanka Trip 2012 stories. Bandaranaike International Airport gave a good first impression to us with its modern terminal ambience despite the physical improvement works still going on. 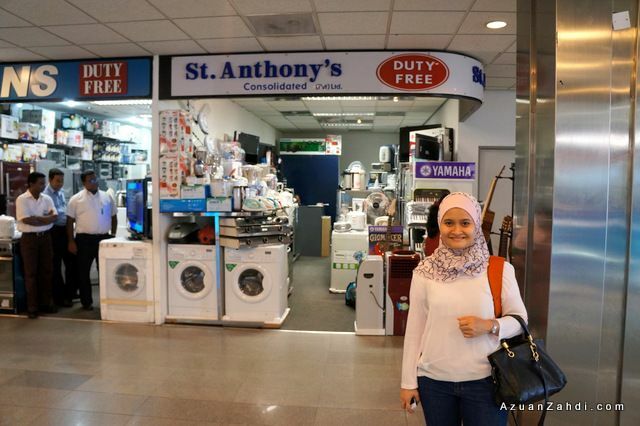 The arrival procedures were smooth and front liners personnel were friendly but what caught my attention the most was a row of duty free shops selling not chocolates, not liquor, not tobacco BUT washing machine, TV, refrigerator, etc! Interesting. 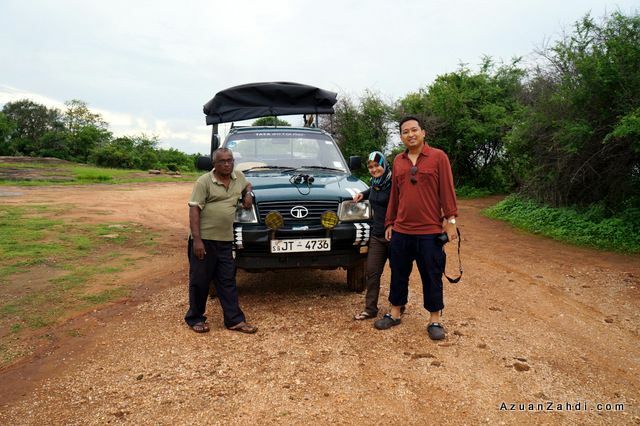 Learning from my travel sifu, we decided to leave straight from the airport to our first destination, the Udawalawe National Park skipping the busy and hectic city life of Colombo until the very last day of our trip. 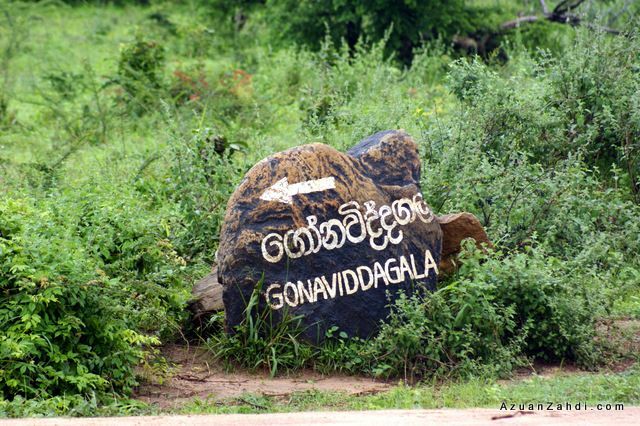 On paper, the journey from the airport to Udawalawe National Park is a 187km journey. Google Maps estimated it to be a 3 hours journey. 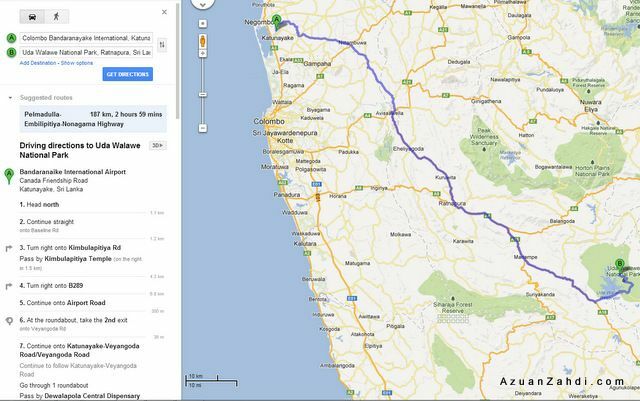 In reality, it took us 6 hours to cover the 187km. 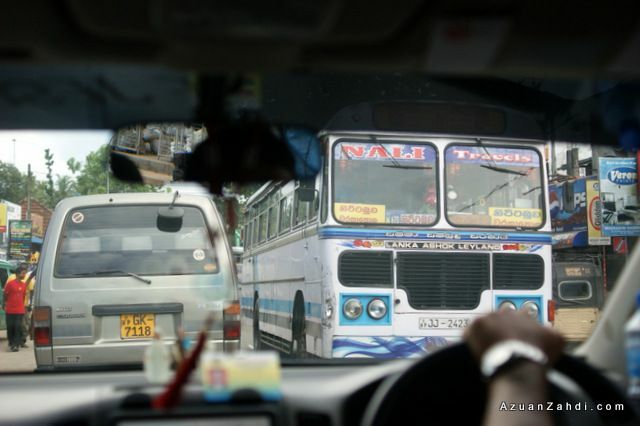 The roads are small, traffic can be tricky at times and it was raining at certain stretch of the journey. Still it was nice to be able to see the scenery of many towns we passed by. We eventually reached Grand Udawalawe Safari Resort just in time for dinner. 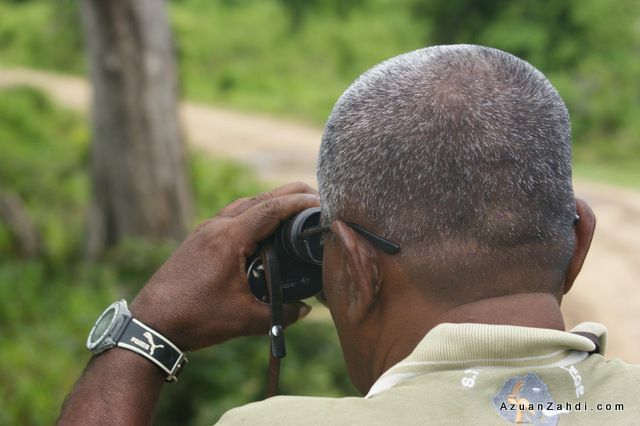 Day 2 was all about Udawalawe National Park, our first ever safari experience! 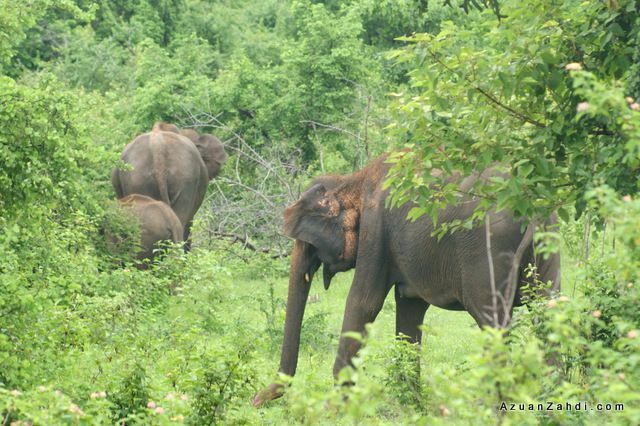 The excitement to get up-close with wild elephants gave us the needed boost to wake up early in the morning to catch our safari jeep for a morning game drive to Udawalawe National Park. 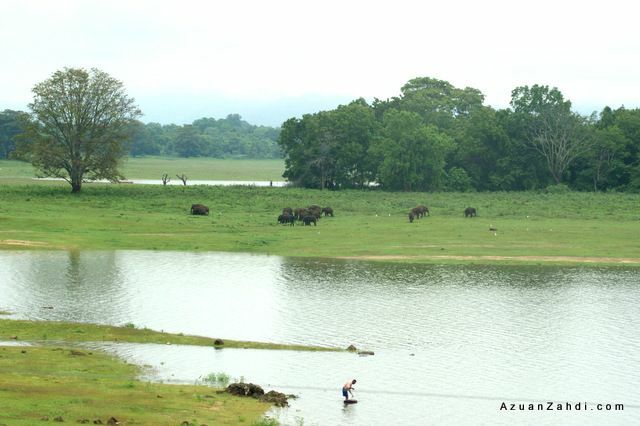 Udawalawe National Park is one of the best places in Sri Lanka to see elephants. 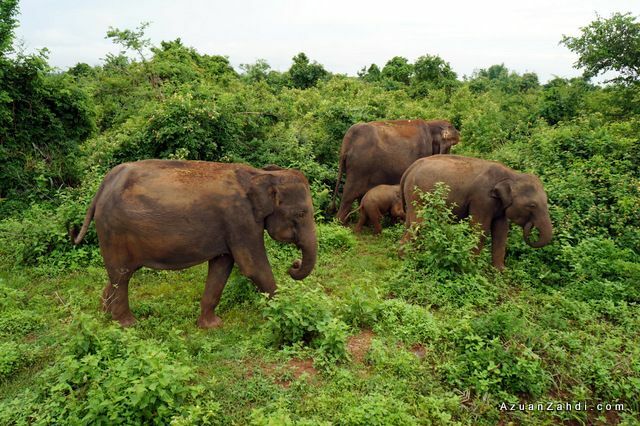 Our guide told us that there are more than 500 wild elephants within the perimeter of this national park and it is quite easy to spot many herds of Elephants here all year long. 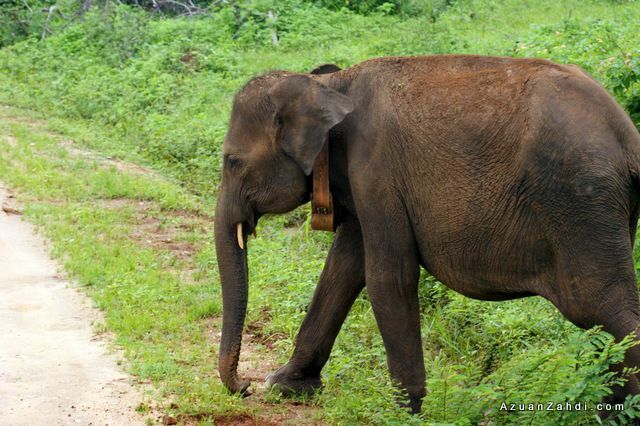 True enough, the moment we entered the National Park, we spotted our first elephant! 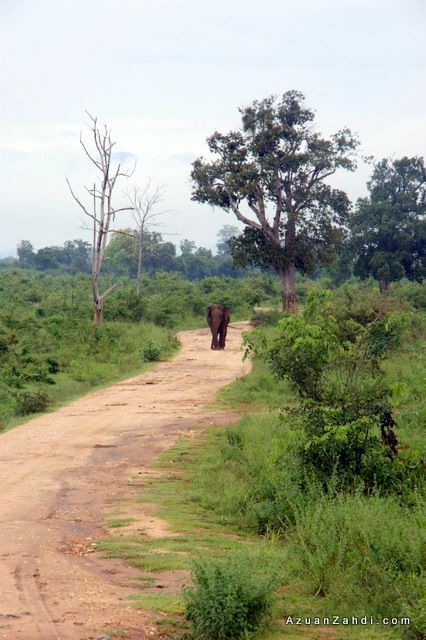 As we moved in further inside the park, we came face to face with an elephant sharing the same road with us. 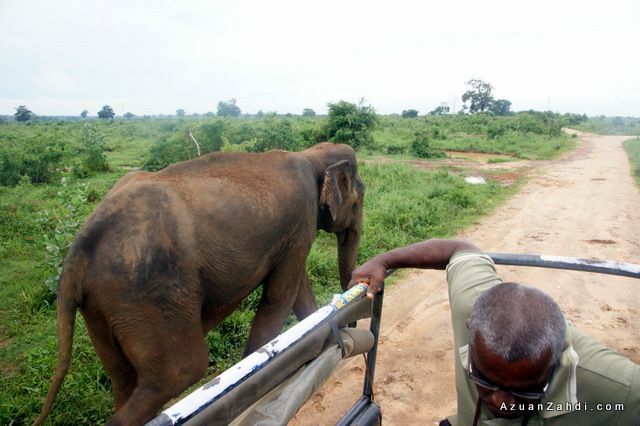 This is when our guide told us to stay calm and just let the elephant pass through at the side of our jeep. Our driver immediately switched the engine off. 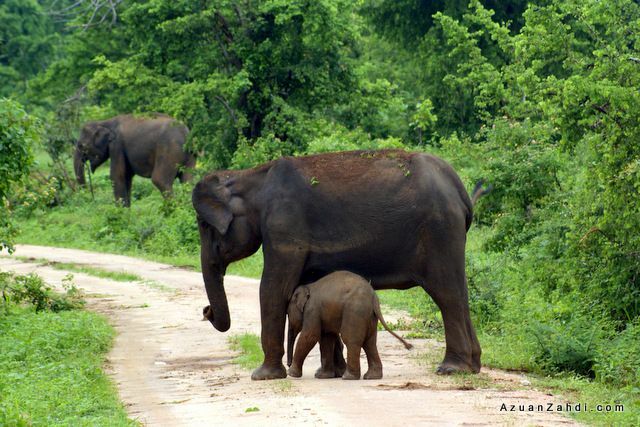 Udawalawe is not just about elephant. 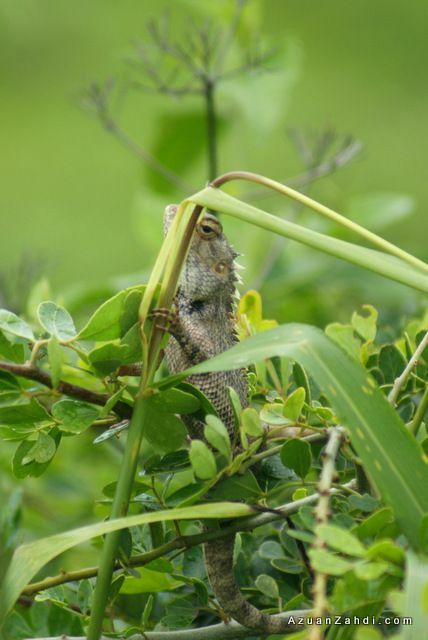 According to Lonely Planet’s website, Udawalawe is also home to birds, sambar deer, wild buffaloes (their numbers boosted by domesticated buffaloes), mongooses, bandicoots, foxes, water monitor lizards, crocodiles and sloth bears. Hornbill. 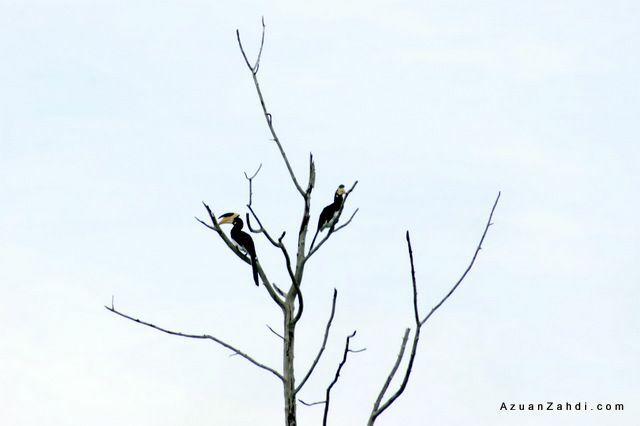 We saw lots of hornbills throughout the 4-hours Safari drive. 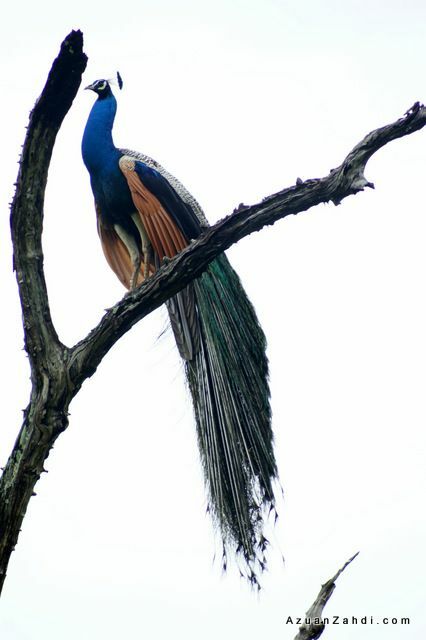 A lovely peacock enjoying the view of the park from top of a tree. 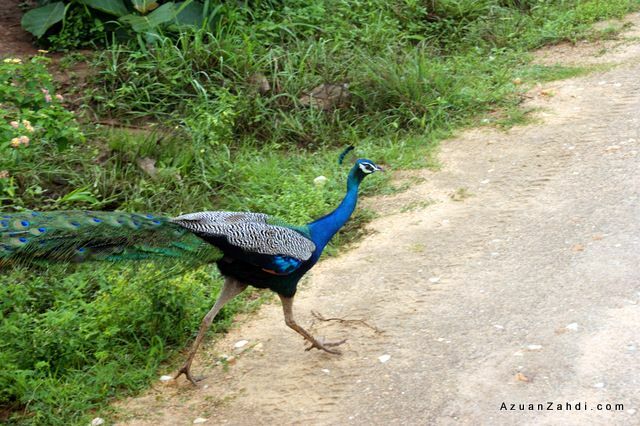 While another peacock crosses right in front of our jeep. At one point our guide told us, “Someone is watching us”. 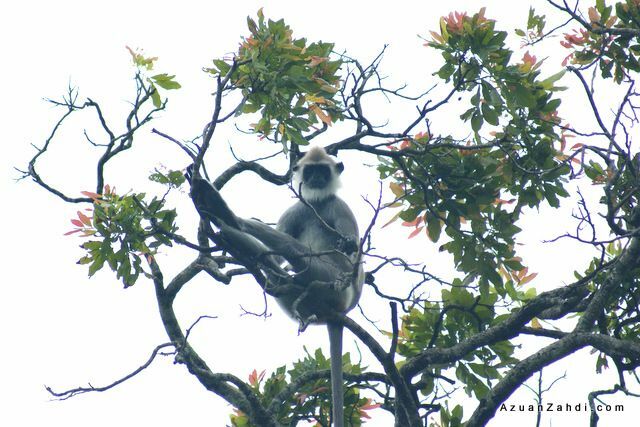 It was this Grey Langur monkey quietly stalking us from top of a tree. 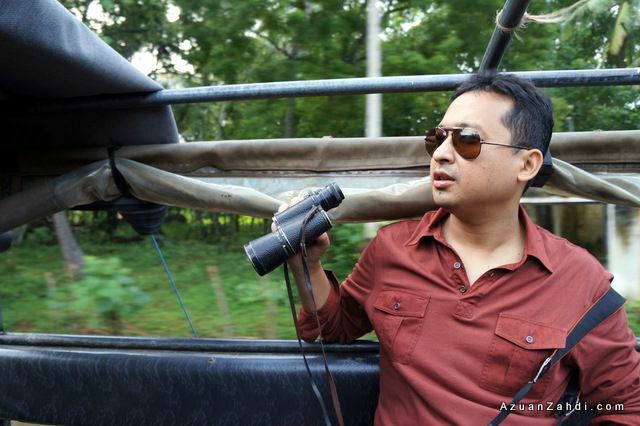 Our assigned local guide is really good at spotting animals out of the moving safari jeep. The moment he saw something, he would ask the driver to stop. 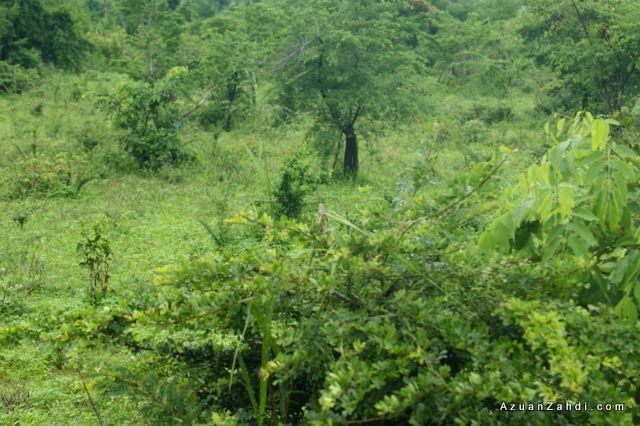 Including this one time when he saw something and asked us to spot the animal. Can you see it? It was actually right in front of us. Sharp pair of eyes! We went in deeper into the park to spot more elephants. Only after a few minutes, we spotted this small herd of elephant. 6 elephants walking together and the moment they saw our truck, they got into ‘protective mode’ where the baby elephant was covered by the rest of the elephants. All secured. 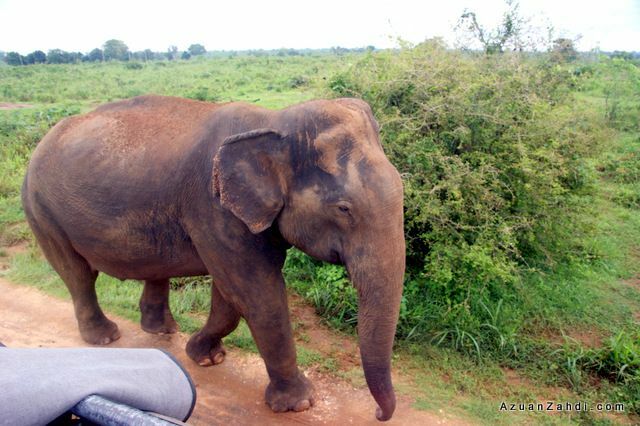 “baby elephant” is safe from another group of tourist. 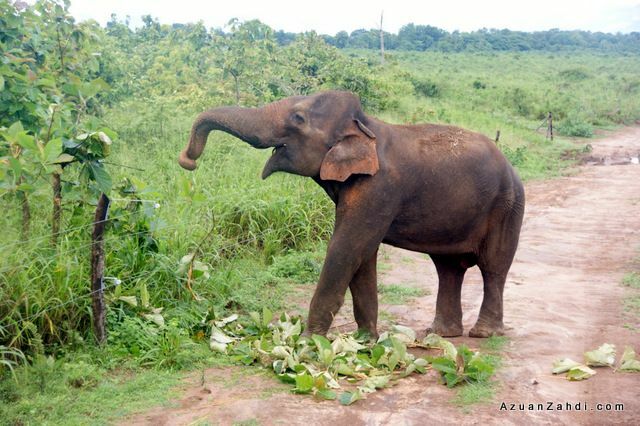 An elephant with a special bracelet to monitor his rehabilitation progress. 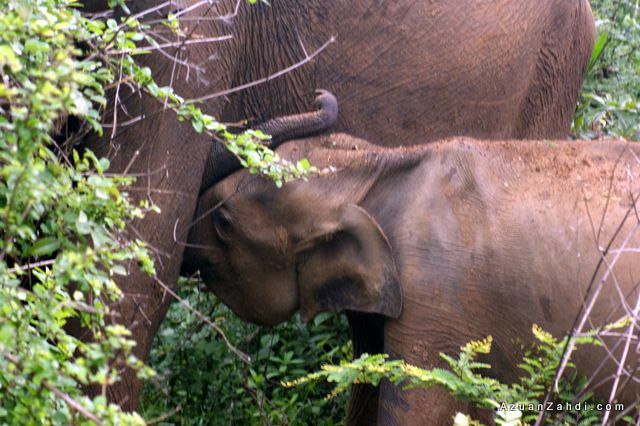 We were also lucky to spot a baby elephant nursing. Beautiful. 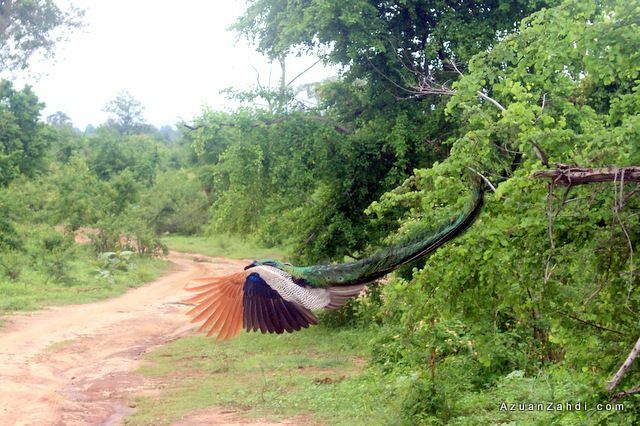 A peacock tried to steal the spotlight from the elephants as we were ready to leave the park. 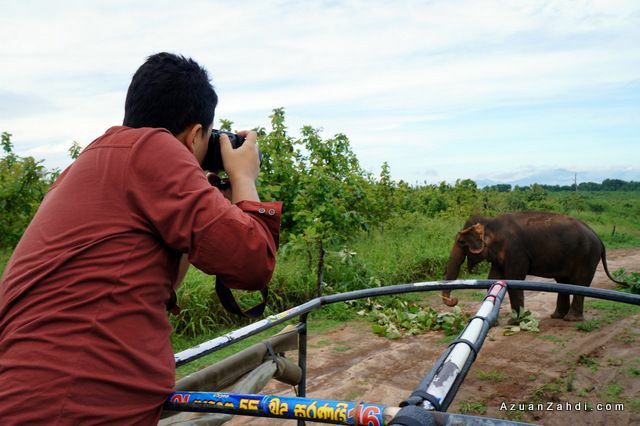 Udawalawe is a must visit to anyone that appreciates elephants and birds. 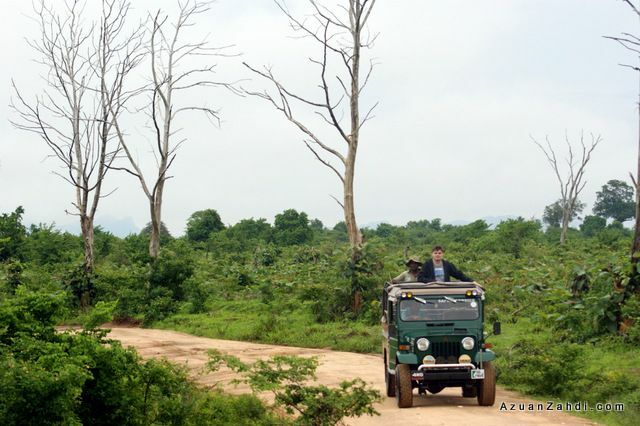 It is true that we can see easily see elephants in the zoo but the excitement of being on a safari jeep spotting the animals is an experience by itself. It was a great way to start our Sri Lanka trip! Nice review! Sri Lanka! One of the places that i always wanted to go after reading the Lily Riani Globetrotter entry. Wow! This park is very tempting to visit ya.. 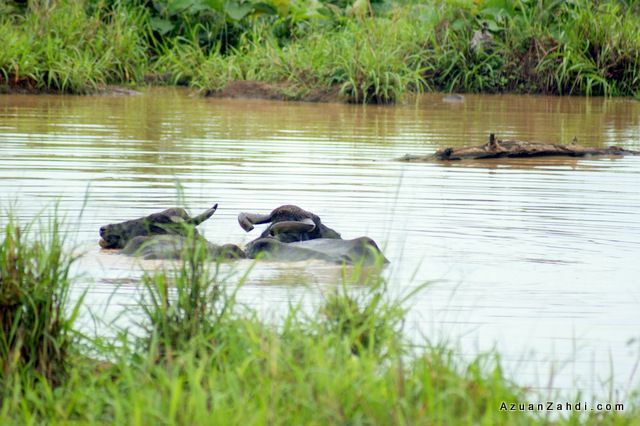 It is a very good national park, next week i’ll share about my visit to Yala National Park, and that is even better! Macam nak nangis ja baca… huuhuu.. such a fantastic nature trip! Very nice review. Some great pictures. 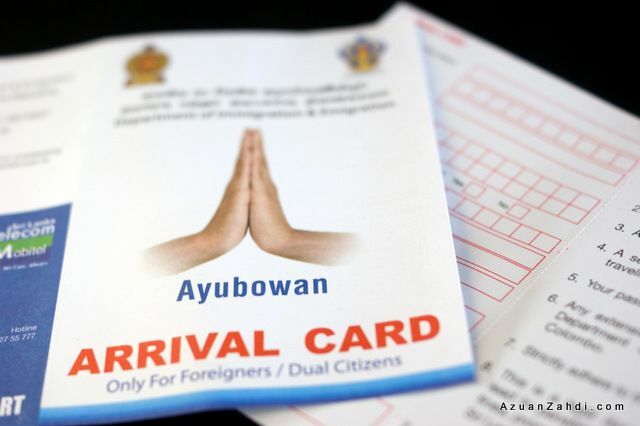 Found this after a google search for Uda Walawe November as my girlfriend and I will be visiting for 2 nights in November 2013. We’re spending 6 days in Sri Lanka before going to my brothers wedding in the Maldives. 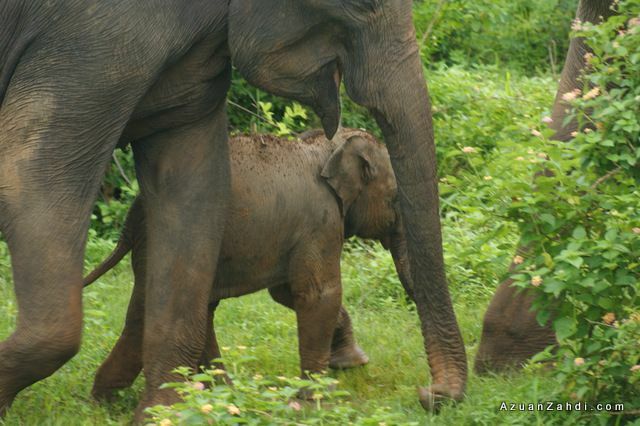 We’re both keen animal people and are very much looking forward to seein wild asian elephants.